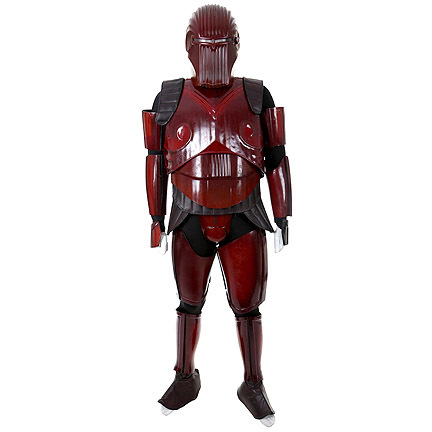 This full body armor suit was worn by a “Super Drone” played by actor David Mattey in the 2007 Sci-fi Action film, “The Last Sentinel”. 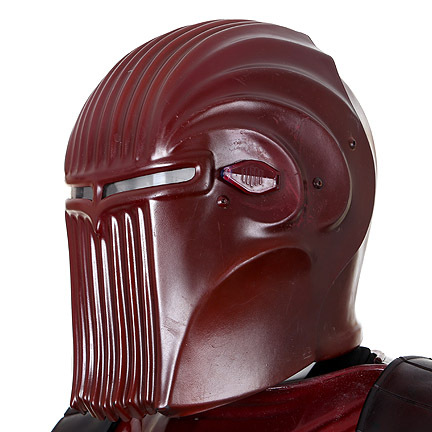 The custom suit includes a red super drone helmet, over fifteen separate plastic armor pieces, a black zip-up body suit and a detachable sword sheath. 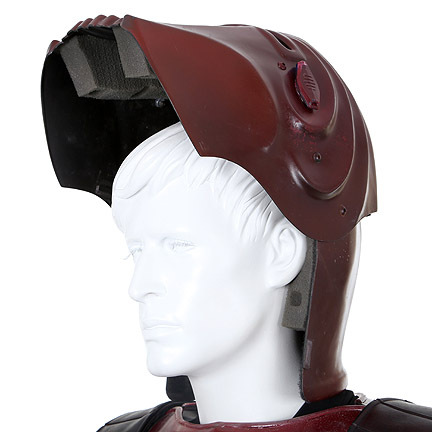 The items are in good screen worn condition with some Velcro and foam attachments peeling, and noticeable scratches on the plastic armor as it was subjected to stunt work and pyrotechnics. 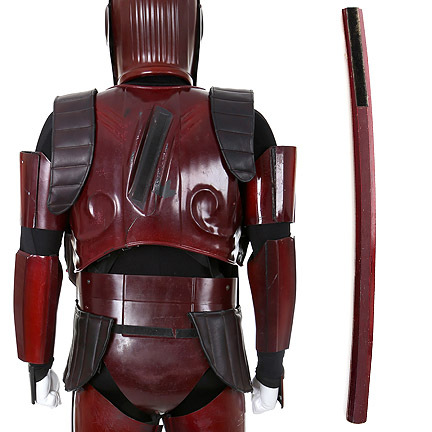 The two shoulder pieces and original left hand armor are missing (black hand armor added), and the sword’s sheath does not include the prop sword. 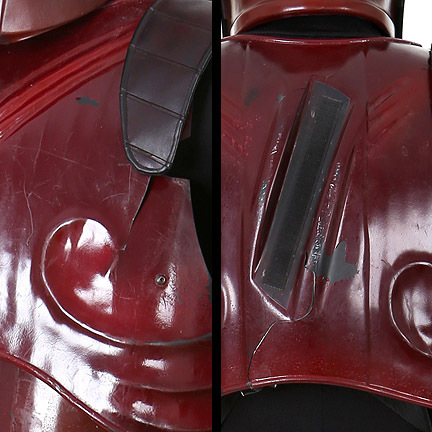 Minor cracks are visible on the front and verso of the torso armor. 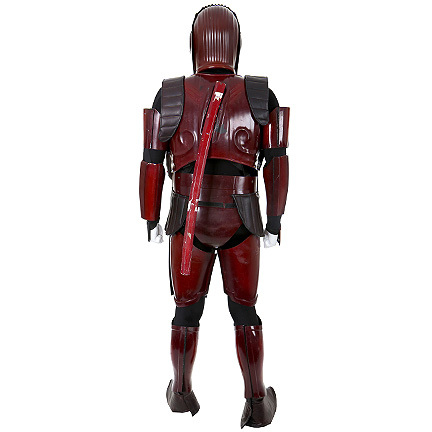 Costumers put the left thigh armor together using mismatched pieces to complete the look. 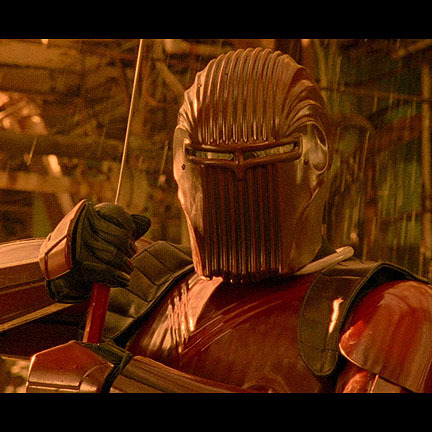 Mr. Mattey can be seen wearing this armor towards the end the film as the Super Drone fights against Tallis (Don Wilson) in a samurai style fight with swords. Tallis has been battling the Police Drones up until this point and now comes face to face with a large Super Drone. The Super Drone tries to convince Tallis to become a Drone himself, which he explains is the next step for human evolution. 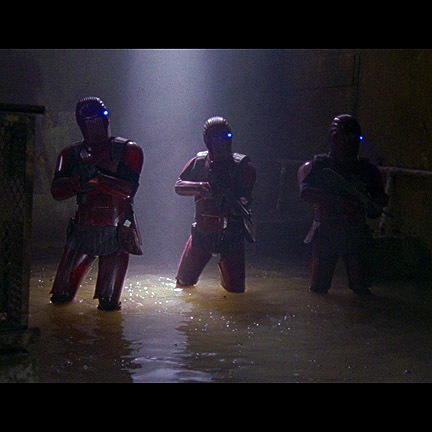 The costume is also seen earlier when the Super Drones surround the “Girl” (Katee Sackoff) and when they try to hunt down Tallis. 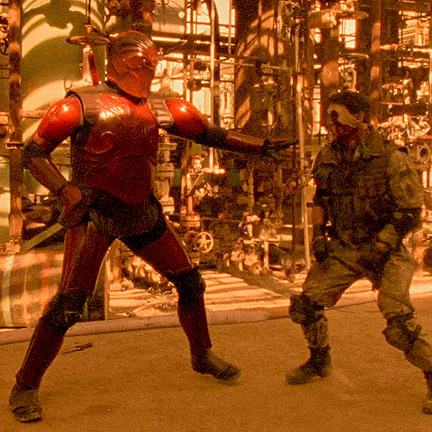 Directed by Jesse Johnson, “The Last Sentinel” stars Don ‘The Dragon’ Wilson, Katee Sackoff (of Battlestar Galactica), and Keith David as “Colonel Norton”. The film is set in a future where war becomes a way of life as Police drones sworn to protect humanity are now driving them into extinction. With little hope for mankind’s survival, a lone soldier “Tallis” (Wilson) joins forces with a rebel “Girl” (Sackoff) to fight back and save the planet. 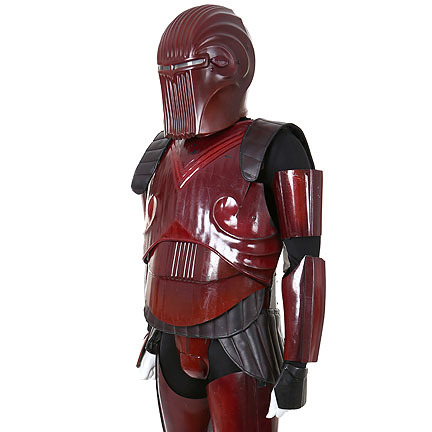 This costume is in good screen used condition and is accompanied by a letter of authenticity from the costume house. 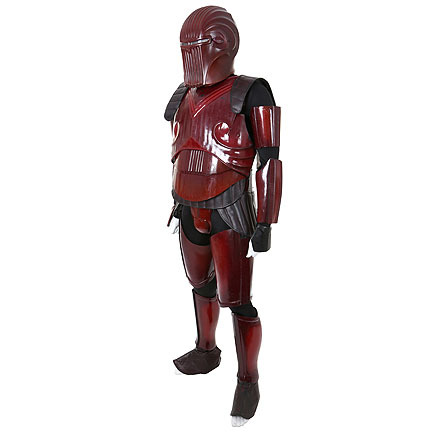 SPECIAL SHIPPING REQUIREMENTS: *NOTE: DUE TO THIS ITEM’S UNUSUAL SHAPE AND SIZE, ADDITIONAL COSTS MAY BE CHARGED SEPARATELY DEPENDING ON PREFERRED SHIPPING METHOD. 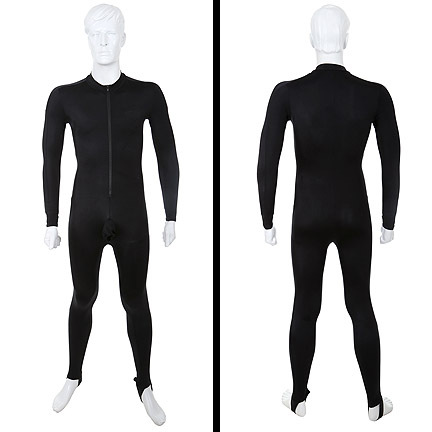 PLEASE FOR ACCURATE SHIPPING COSTS TO YOUR LOCATION PRIOR TO PURCHASE.